Today’s changing business environment warrants innovative solutions for meeting your staffing requirements. Paysquare offers Resource Management services (Temporary staffing services), where we help clients place their staff on our payroll and we completely administer the employee benefit plans for such staff. We also manage the necessary statutory data for these employees on temporary services. We can also provide industry standard benefits customized to clients requirements for ensuring parity in employee benefits between companys staff and temp staff. While offering these temporary staffing services, Paysquare works across several industry verticals, catering to requirements of leading names in BFSI, Consumer Durables, Retail, Telecom, Chemical, Manufacturing, e-commerce, Pharmaceuticals and healthcare sectors. A combination of the right people, proven processes & the right investment in technology enables us to enhance business productivity by enabling our clients to outsource their temporary staffing requirements (we are not a recruitment firm) and allowing them to focus on operating and growing their core businesses. Across the Country, organisations small, medium and large enterprises struggle to deal with increased Government regulations and volatile market demand. Organizations require Temporary staffing when things are uncertain, when they do not want to hire candidate for full time basis, they want Good resource for a certain period of time.Temporary staffing solutions that offer the ability to build staff strength without hiring them full time, these resources assist the overloaded employees during critical times and keep projects moving. Amidst market volatility, it is common for clients not to commit to long term projects. In such a scenario, the company who takes up such projects has to deal with challenges of managing additional workforce in case the client decides to exit the contract. To avoid risk, till there is some element of stability in the contract, companies offer to go the route of temporary staffing services. They do not employ the people in their company and this gives them the flexibility to hire and fire people at short notice. Temporary staffing services offer clients the possibility to hire people with the necessary skills without having to take care of any of their HR formalities. 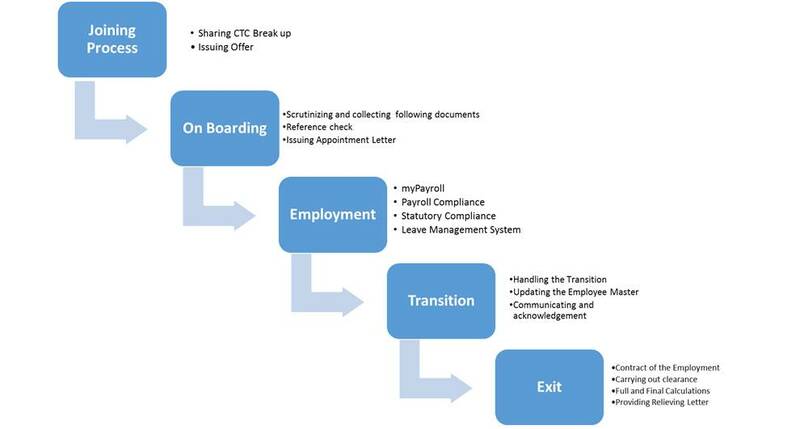 These HR formalities could include joining formalities, benefits administration, payroll, leave management etc. With an external agency managing all the HR formalities and benefits, companies can just focus on the task on hand and move on. They are able to hire on temporary contract skills that they need without having to worry about who will manage all their benefits administration and formalities. Statutory compliance, remittance of statutory payments and other related administration. WHAT PAYSQUARE IS OFFERING AND WHAT ARE THE BENEFITS OF TEMPORARY STAFFING SERVICES? Paysquare has over 17 years of experience in the payroll domain. They offer end to end payroll processing and payroll compliance solutions. With the experience that they have gained across industry verticals, they are capable of managing all the HR benefits administration that is needed for temporary staffing services. With temporary staffing services from Paysquare a company can just go ahead and source the talent that it is looking for and enrol it on Paysquare payroll and have him focus on the work related to the project. The employment terms remain flexible so that in case the projects do not continue, then you can relieve such staff quickly. All the HR formalities including joining, benefits administration can be managed by Paysquare. This helps put the temporary employees on par with full time employees in terms of HR benefits and administration. This makes it attractive for these employees to join on temporary term.